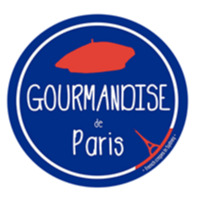 Gourmandise de Paris joined our Mission to help provide access to “Clean Water for All by 2030”. This Mission was initiated by the United Nations. A big thank you to Gourmandise de Paris’s team and customers for joining this extremely important mission on 24 November 2017. It all started with a food truck and two French food enthusiasts. Johan and Audrey drove from food markets to food festivals, alongside their passion for French cuisine; a worthwhile ride of success that eventually led the couple to open a French restaurant in Pyrmont. Gourmandise de Paris is a traditional French restaurant where you may enjoy some of France’s finest regional specialities such as Brittany’s renowned crêpes or a Fondue Savoyarde to the colourful sound of French music, in a cosy and welcoming atmopshere. The perfect place for an authentic French meal and to practice your French with our lovely staff dressed in France's signature headwear, le béret, as if you were in Paris!